Membership rates and application forms are available to download here. 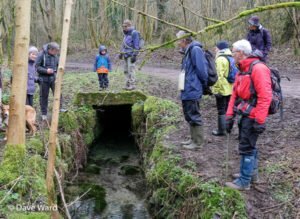 Our popular Peak District Heritage walks are a chance for you to meet other people interested in mining and industrial archaeology. Our guided walks are led by people with extensive local knowledge and are free – even volunteer organisations commonly charge upwards of £4 each for comparable walks. 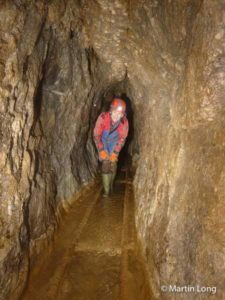 Our underground trips into Peak District mines and caves are only available to PDMHS members, and normally free. If you don’t have the necessary equipment, we can often arrange to loan you some. The typical commercial cost of a single introductory caving trip is about £80. Free training, for example SRT (Single Rope Technique for ascending/descending caves, cliffs and mine shafts). The typical cost of comparable commercial training might be well over £100. The Society’s prestigious magazine Mining History is published twice a year, and is free to members. The price to non-members is £10 per copy. Free quarterly newsletter by email or post. Free entry to the Peak District lead Mining museum in Matlock Bath (normally £4). Special offers on other publications. Free guided tours of Temple Mine (normally £4.50). Free access to our extensive archive of mining and mining-related resources, including documents, photographs, mine surveys, plans etc. Free access to the members only section of this web site. Expert help with your own researches. Free or reduced-rate entry to events such as film shows, talks, slideshows. Use of the Society’s Field Centre at Magpie Mine (including for overnight stays) at very attractive rates. Opportunities to get involved in industrial archaeology, research and restoration/conservation projects, guided by experienced practitioners. Third party liability insurance for members while engaged in Society activities. Many landowners require that you have personal BCA insurance if you wish to visit mines and caves on their property. PDMHS liability insurance does not include cover for underground trips, but we can arrange cover for an introductory underground visit. Regular underground explorers will need to obtain individual cover – and we can help obtain this at a reasonable cost. Prices & costs listed above are only indicative, they were correct at time of writing but subject to change. PDMHS is a voluntary organisation run entirely by its members, there are no paid staff*, income from membership fees goes in its entirety to providing benefits listed above and furthering the aims of the society. * some museum staff are paid from sales of tickets, books etc at the museum.